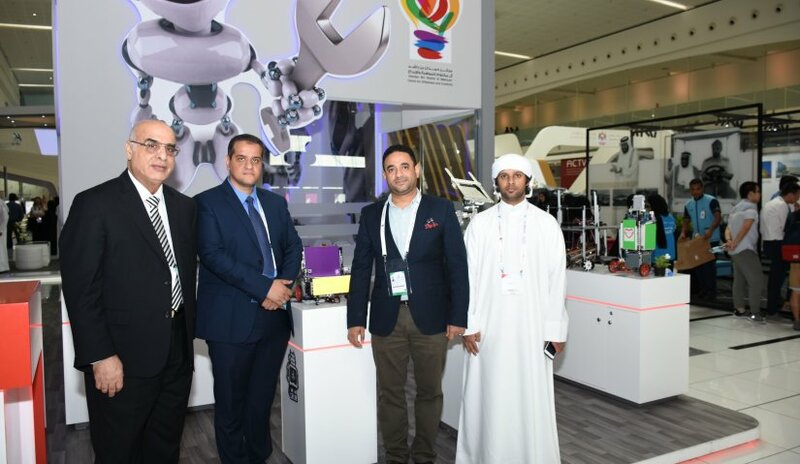 Al Falah University students and a number of faculty members headed by Prof. Nasr Abbas visited the Abu Dhabi 2017 International Skills Competition organized by the Abu Dhabi Education and Training Center under the patronage of H.H. Sheikh Mohammed bin Zayed Al Nahyan, Crown Prince of Abu Dhabi and Deputy Supreme Commander of the UAE Armed Forces. 1,300 competitors from more than 70 countries participated in 51 competitions including mobile robots, aircraft maintenance, landscaping, jewelry and other skills. The 2017 International Skills Competition in Abu Dhabi is the first time the competition was held in the Middle East.